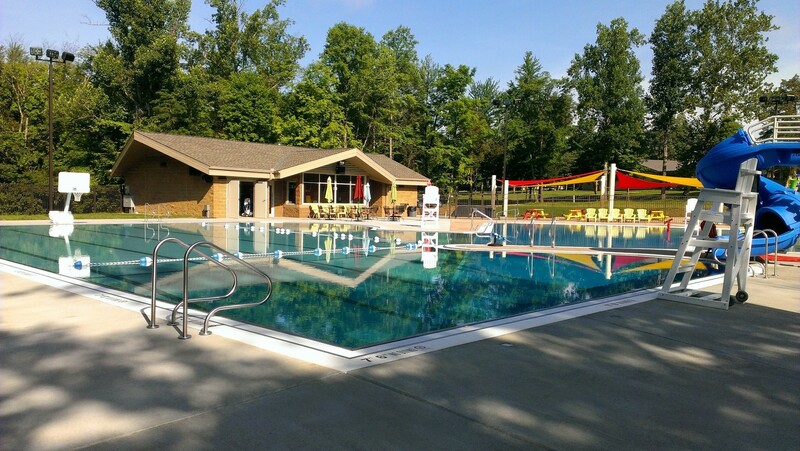 New Family Housing Lodge & Pool enhances Camp SWONEKY’s functionality with relaxed, communal emphasis. 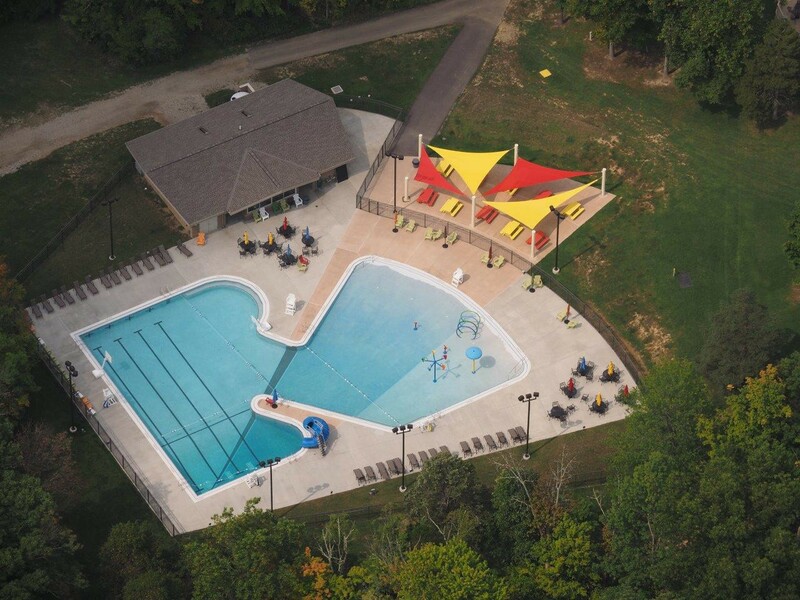 Operating as a summer camp for children, The Salvation Army wished to enhance Camp SWONEKY’s long-term year-round functionality to include meeting and event space, as well as a place for families and Army personnel to sojourn. 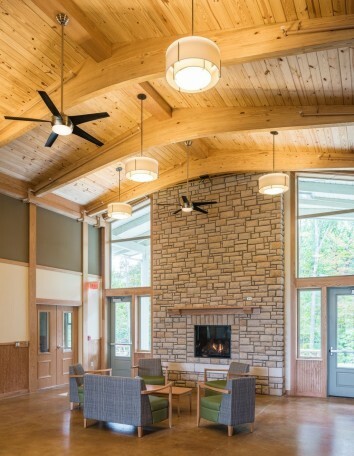 The Family Housing Lodge & Conference Center represents the first of two buildings designed to occupy the camp’s western edge, nestled between the lake and the surrounding woodland — strategically located so that it provides some refuge away from daily activities while maintaining a close connection to the camp’s amenities. The lodge features 24 guest rooms separated into two wings, each including four single rooms, four double rooms and four apartment-style suites. 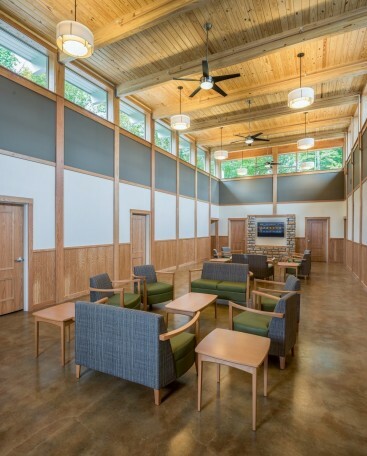 Each wing also contains a unique community lounge with lofty, exposed timber ceilings, clerestory windows offering tree-top glimpses, inviting furniture, and a flat-screen. The lodging wings converge on the building’s central bay, which consists of a dining commons, hearth, two meeting rooms, laundry and mechanical space, as well as a full kitchen for food preparation. The north side of the lodge opens onto three porches with views toward the lake and new central gathering green, while the south side picnic terrace heralds views of the woodland valley. 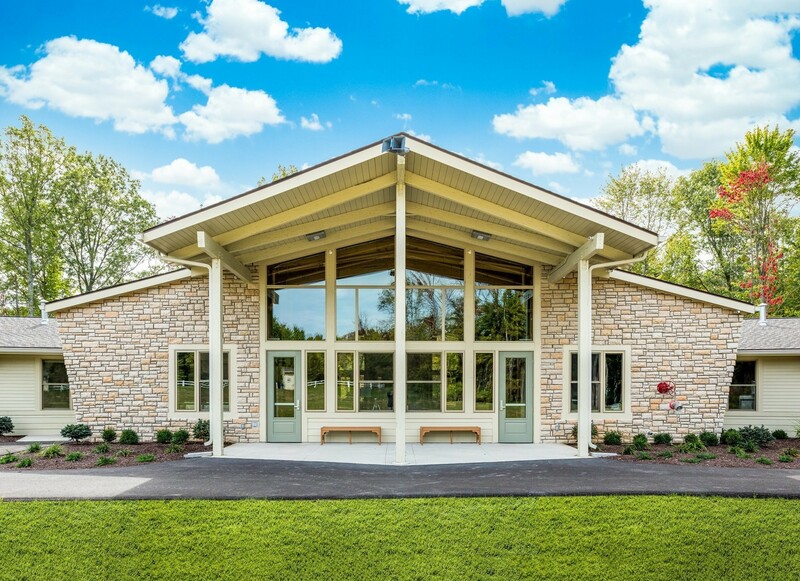 As a new type of facility at SWONEKY, the Family Housing Lodge presented an opportunity to create a signature building for the camp. 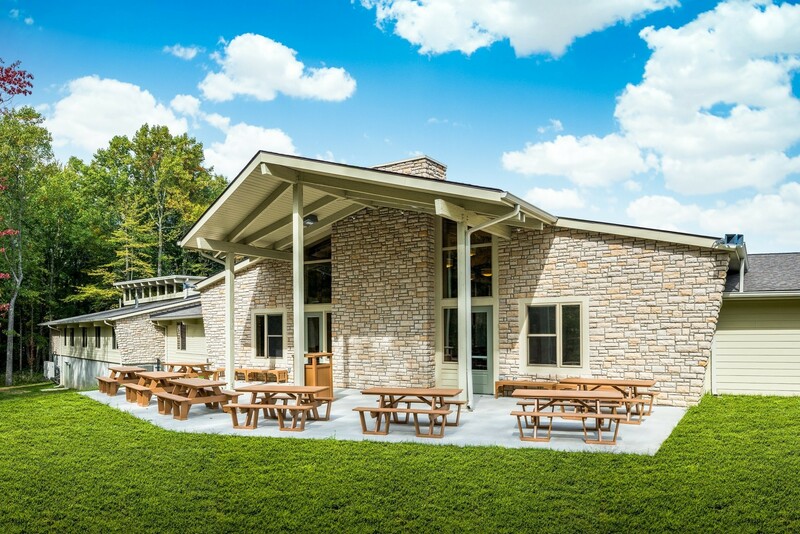 Durable cement siding and ashlar stone echo the existing architectural palette, and a combination of gabled and sloped roofs with clerestories pay homage to the Camp’s dining and recreation halls — advancing a cohesive camp aesthetic. The interior palette consists of oak wainscoting and trim, exposed glulam beams, and wood ceilings in public areas. 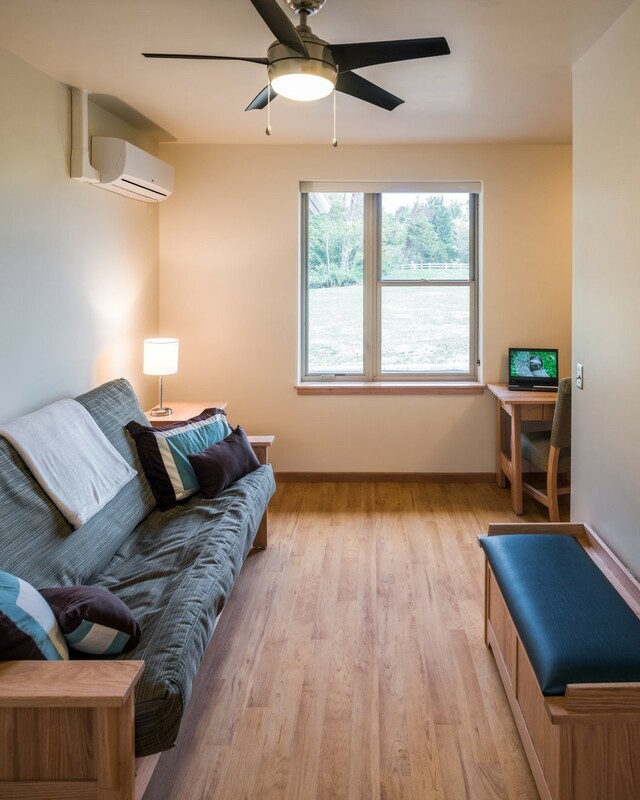 Natural paint tones and stained concrete flooring speak to the camp’s rustic, natural setting while modern fixtures and furnishings contribute desired comfort and refinement. Nearby, the new Edith and Carl Lindner Aquatic Center has popularly become a camp favorite. The 170,000 gallon, zero-entry pool includes special water features at the shallow end: geysers, spray loops, dumping buckets, water tunnel, umbrella, and spray cannons. 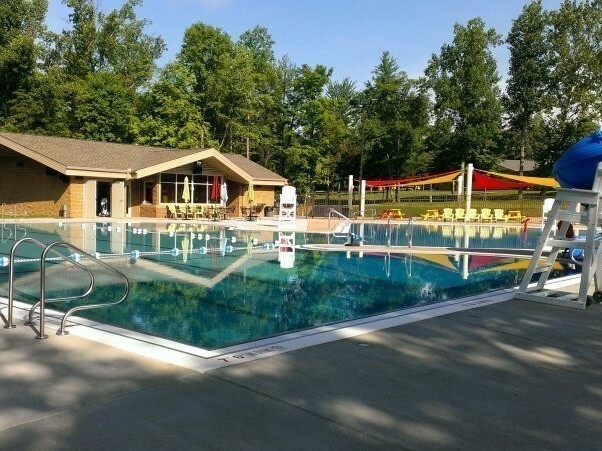 Other pool amenities includes four 25-yard lap lanes, volleyball and basketball nets, two underwater benches, and a 10' high tunnel slide.